Why choose Sacks Realty Group Inc. Property Management? 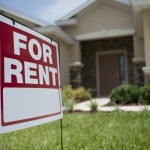 When you choose Sacks Realty Group Inc.'s Property Management Division (SRGPM), you are choosing the BEST. Our many years of experience in property management and residential / investment real estate will allow you to own your Disney Orlando property worry free. We will operate, maintain, increase the Value of your Real Estate Investment. Our Key to achieving an Investors' Profit Objectives is our excellent professional management team. Our strict focus is on the Management function so it can provide high levels of professional expertise in the complex field of property management. Disney Orlando Local Real Estate Market. Establishing a Strong Marketing Campaign. Obtaining and Maintaining various Property Systems. For additional information on our various Property Managment Services including Concierge Services, Short-Term Rental Management Services to Long-Term Full Managment Services, please click here. If you're thinking of buying or selling a home in Orlando, contact Sacks Realty Group Inc. at 321-354-4057/1-866-254-6877 for expert guidance and first rate service. We'd love to make your home sale a breeze! Let Us Help Your Dream Come True!! Please fill out the form below or call Sacks Realty Group Inc. direct at 321-354-4057. We look forward to getting to know you and having you get to know us. I agree to receive Sacks Realty Group Inc. Exclusive Newsletters and more.